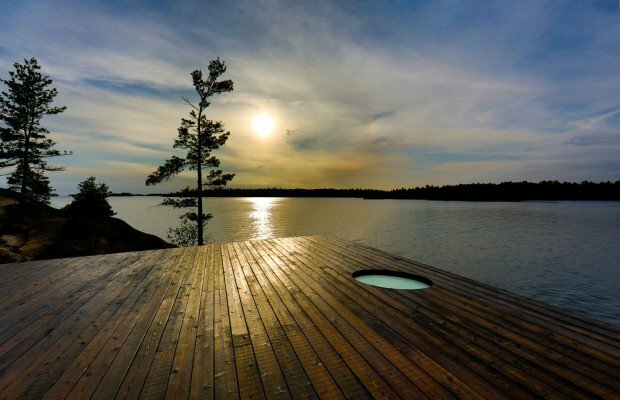 This amazing form of prefabricated sauna construction was built at Georgian Bay in Canada. 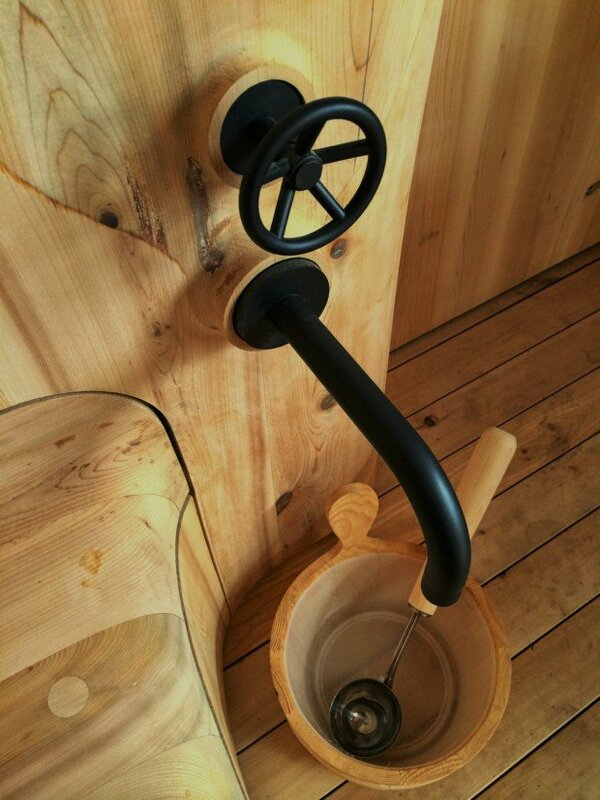 Grotto Sauna, as it’s called, is a tourist attraction for tension relief and soothing your nerves, as we’re sure you can see why. 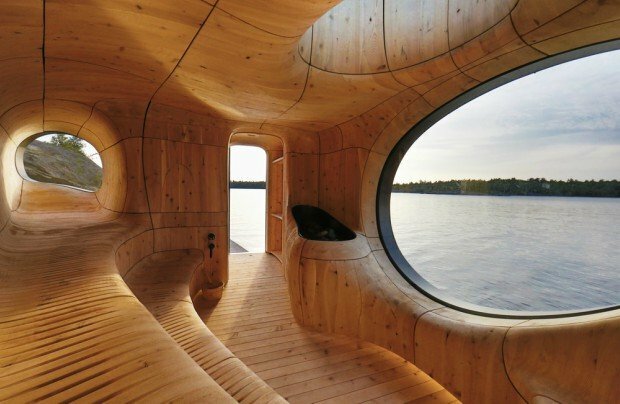 This creative idea of locating the sauna along the water was thought of and designed by Partisans, who contrasted the smooth wooden interior with the rippling water waves that together make the overall experience of this beautiful sustainable structure. 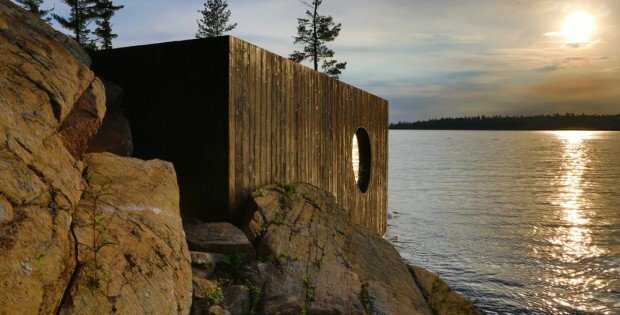 Perched on an island’s edge in Georgian Bay, Ontario, the Grotto Sauna is a feat of old-world craftsmanship and new-world sustainability made possible by cutting-edge software and fabrication technology. 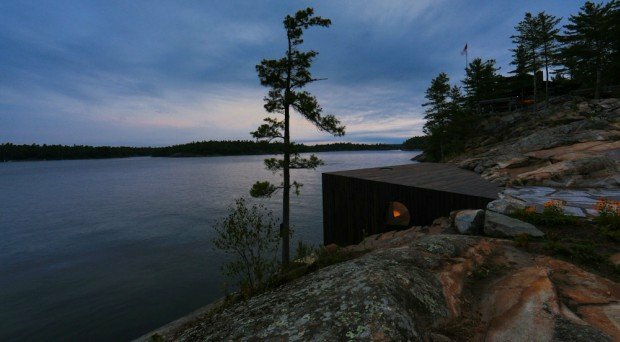 A simple but dignified exterior built from charred cedar prepared using the traditional Japanese Shou Sugi Ban method conveys a weathered appearance, while the curved interior emulates Lake Huron’s waves as well as the Precambrian shield—a soft, undulating rock surface that has been worn over billions of years.